Looking for a professional developer of your site? In his subsequent search promotion? and support needed? Required upgrade your site or redesign your site? 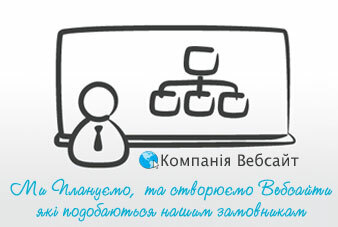 Pay attention to our company! Extensive experience solving problems arising in the operation of the Internet site allows you to solve any problems. There is a lot of companies, offering services to promote the search and Internet sites. But relatively few of them provides a complete cycle of, namely integrated services in Internet. We offer a reliable partnership and cooperation for a long period. Our Guarantee: many successful projects at competitive categories and first place in prosuvyemyh our sites in three search engines: Yandex, Rambler, Google. If you want to develop and promote the site, and willing to work long, we are waiting for your call. For every promotion and developed our website contract, where the prescribed terms and conditions of cooperation. Extensive experience in promoting and developing web sites allow you to not worry for the results of. Acquaintance. At this stage, the first contact between the customer and representative web studio, going exchange of contact information, discussed the upcoming project in general and application is made to develop a website. Terms of Reference. Contains specification, going analysis of competitors and popular topics, selected domain and hosting company. All of our customers, we recommend using our services Web server hosting their projects, because most server optimized for CMS, we monitor and perform maintenance on a regular basis. Contract. Customer Representative and developer of the project agreement signed in 2 copies. The contract negotiated terms and cost of the project, describes the rights and responsibilities, approved terms of reference. Prepayment. The company website begins development of a website after 50% Cancellation. Date entered on peredoplati by Web Studio deemed date of commencement of work on web site. Site Design. Professional designers and SEOs develop most effective Site Design, accordance with the wishes of the customer and current trends in design. Representative Web Studio communicates with customers and discuss the initial sketch, which is sent for approval by email. The customer specifies the details and approve the final version. Zgіdno s contract, Customer may request up to 3 preliminary sketches. Content. In most cases, the Customer itself provides text and graphics content for the site, and SEO-optimizers Studios prepare content for publication. By agreement of experienced copywriter is studying the website and wrote the required number of unique texts. Testing. The most important stage, which allows to correct all deficiencies, if they are, and prepare the site for publishing on the Internet. Publication. Set and configurable content management system (CMS), integrated pattern, published content. Registration. Free service of web studio - registered with popular search engines. Zdacha project. At this stage the customer pays the amount, the remainder, for the development of the project and signed by acts of the works. In most cases customers continue working with our studio and after delivery of the project. Company Website proceeds to support, promotion and promotion of websites created. How to order development of website or online store? To apply for the development of the Website you can in any convenient manner: make a phone call in Ivano-Frankivsk (097) 966-18-03 or fill Feedback, who asked power, you are interested in our team, who will answer all questions about a web site, yogo layout, design and subsequent maintenance. Order cheap production Web site at Ivano-Frankivsk, Bolehovі, Burshtyn, Galena, Gorodenka, Valley, Kalush, Kolomyia, Косові, Outer, Rogatin, Snyatinі, Tismenicí, Tlumačí, Yaremchі .